Today, human resource staff focus more on strategizing and satisfying employees’ needs than on administration and recruiting, which were the cornerstones of HR work in a previous era. HR professionals are taking on a much more meaningful role in company management as partners who help the business runs smoothly by building a strong company culture, monitoring overall satisfaction, and motivating employees to be more productive. Tech advances powered this hierarchical upgrade. Halleluiah for that! We all thought that robots would take our jobs, but they got us promoted instead. Yet, there are still processes that need refinement, and despite the big improvements in recruitment and applicant job matching and ranking, resume reviews and candidate qualifying still take up a lot of recruiter and hiring manager time. I am a chatbot developer and a passionate automation advocate, but even I can’t overlook the obvious. Employees are still the company’s most valuable asset, but only when they are appropriately selected, well trained, and when they perfectly fit into the company’s culture. Otherwise, their mistakes can quickly become a problem. The doors of HR departments have always been wide open to tech innovations. In the last decades we have seen the emergence of various applicant tracking, human capital and payroll management systems. Recruiters are using the benefits of social media on a massive scale for publishing job ads and contacting talent. LinkedIn made the most significant breakthrough in this segment. The popularity of this network completely disrupted the hiring process, pioneering proactive social sourcing. Now, companies that want to decrease their recruiting costs are moving away from relying on traditional job board to use social networks for hiring. Advanced targeting options make sure that the most competent crowd sees every ad. A great example of a successful social media recruitment strategy is the one created by CH2M Hill, a global constructing engineering and consulting firm. According to a case studyCH2M managed to “reduce the costs and time” by directly sourcing 98% of US hires and 95% of those abroad. They have also concluded that LinkedIn is the best social network for direct recruitment. LinkedIn is undoubtedly the most popular social network among recruiters. According to the Using Social Media for Talent Acquisition – Recruitment and Screening survey, conducted by the Society for Human Resource Management in 2015, 96% of surveyed HR professionals use Linkedin for recruiting new talent. Facebook was second with 66%. Facebook is apparently more popular than LinkedIn among the general public, but that is not the only benefit of the world’s biggest social network. Its ad platform uses algorithms that provide precise audience targeting. With Facebook ads, you will be able to narrow down your search to an exact location, or use various behavioral parameters and find a perfect cultural fit. Fancy job ads, on Facebook, and people who share and comment them, improve an employer’s reputation. Good branding strategy can create an army of competent followers, who are waiting for a new opening. Like any other type of recruitment tool, social networks also have a few drawbacks. Most regular posts have a short lifespan. That is why you need to boost your job ads regularly. For targeting the right audience on Facebook, you will need solid social media marketing knowledge. For example, when boosting a job ad, you should use demographic and behavioral characteristics for choosing the targeting criteria. Yet, even when you target a narrow audience, you can count on dozens or even hundreds of applicants. This situation can be seen as both advantage and disadvantage. People tend to share and comment on job ads, which makes them visible to a larger followers’ base. So, you should also expect a lot of applicants that don’t satisfy your primary criteria. Fortunately, this problem can be elegantly solved, without contacting them personally. That’s where a bot comes in. According to Deloitte’s 2017 Global Human Capital Trends analysis, “thirty-three percent of surveyed HR teams are using some form of artificial intelligence (AI) technology to deliver HR solutions.” Still, there are many HR professionals who spend most of their time on administrative work, and on reading hundreds of resumes each day. Half of it, from candidates who don’t even satisfy the minimum job requirements. Social media hiring is not much different. Even the managers who use applicant tracking systems for posting job ads on Facebook, LinkedIn or Twitter, still get dozens of messages in their inbox from potential candidates. Deploying chatbots on your career site, or on a Facebook Messenger account, can automate the first phases of the hiring process, ensuring the candidates meet at least your minimum requirements. I learned that the best way to present how this technology works is to build a recruitment bot myself. You can, too, and you don’t need to know any programming. Snatchbot, a free chatbot building platform, has tools to help you build your own bot from scratch, but using a chatbot template template is so much easier. So, please meet – and talk with — Rosa Select, a simple recruitment chatbot I made on Snatchbot. Rosa is a very basic bot that is far from being an autonomous HR tool. Still, even at this stage, the benefits of this concept are apparent. You can use Rosa Select as the template for building your own chatbot, customizing it to your needs. Let’s see how Rosa Select bot can help you. One of the most important tasks of recruitment bots is to collect candidate data. If applicants contact the bot through a social network, their account will serve as a contact. On the other hand, if we decide to place the bot on the website, we will need to extract their name and contact info. After extracting contact data, the bot shifts to the interview questions. While creating Rosa, I used (as an example) the first job I found on Google Careers. The company is looking for software engineers to work from its headquarters in Menlo Park. With the use of this list, I created the four questions applicants must answer before they can send the resume to the recruiter. Since these are minimal requirements, the lack of any of these conditions automatically disqualifies the candidate. The candidates who haven’t been disqualified after the fourth question receive a link to the Google Drive folder, where they can upload their resume. The disqualified candidates are notified right away. They also receive a link for uploading their resume, but it leads to a different folder that can be used for building a pipeline for other positions. Automated platforms like Snatchbot, Chatfuel, Many Chat and Botsify, allow us to make chatbot solutions like Rosa Select without any coding knowledge. It is a fundamental process of connecting interactions and adding keywords. I built Rosa Select in 4 hours, adding new job requirements and questions will require from 15 to 20 minutes of my time. Not bad for creating a fully functional pre-selection tool. The chatbot like this can host an unlimited number of job ads, and become a part of a broader client service solution. Since Rosa is a very basic solution, further development will also include more questions and complex tests to narrow down the number of candidates and filter out the ones who try to cheat the bot. Adding training and informational functionalities can also be beneficial in the onboarding stage. Social networks are endless talent pools that are yet to be fully explored. The good news is that currently thousands of people around the world work on delivering smart HR solutions, and I am happy to be one of them. Chatbots are an automation path HR can leverage to cut costs and make work more efficient. 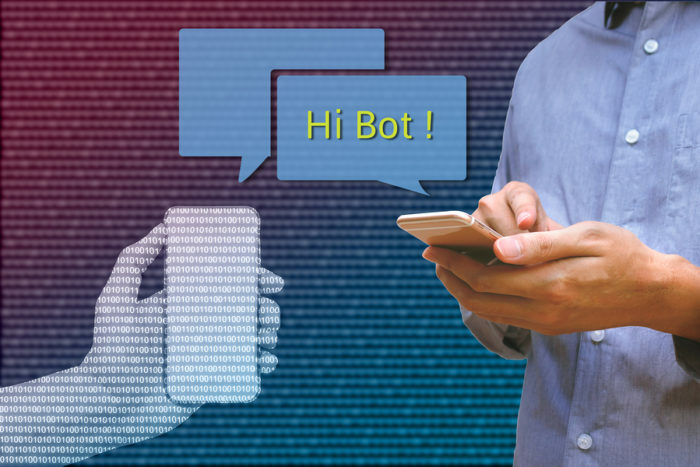 As I have said earlier, chatbots will help you to get rid of dull and repetitive tasks and make your company role more creative and meaningful, no matter what you do. I enjoy building chatbots in automated platforms and code-based frameworks. My bots are live, chatty and incredibly human-like. In my spare time, I write articles about the benefits of A.I. and explore new industries my chatbots can target.